At 30, Federer remains a major contender. Roger Federer has a trunk full of titles, records and winning streaks, some which have defied logic. But at the 30 years old, his last month of play has to be put right up there with the most eye-popping sequences of his career. On Sunday, Federer became the first player to win the ATP World Tour Finals six times by taking down Jo-Wilfried Tsonga 6-3, 6-7(6), 6-3, to become the oldest titlist at the year-end championship. Outside of Roger Federer’s usually excellent play indoors, this has been a bizarre ATP World Finals, with two eye-popping results already being registered: Federer’s 6-3, 6-0 destruction of Nadal followed up by David Ferrer’s altogether shocking 6-3, 6-1 defeat of Djokovic. Let’s take nothing away from Federer, who has not lost a match since he came back from some R&R post the U.S. Open and stormed through Basel and Bercy, or Ferrer, who time and time again has proved himself to be worthy and gutsy opponent. But Nadal losing 6-3, 6-0 to anyone is always a stunning result, even if you believe that Federer is the best player ever. Put it in context: the Spaniard entered the match with a 17-8 head-to-head record against the Swiss and had taken him down the last three times they played. Yes, Federer is a better player indoors but that does not explain how Nadal failed to hold serve once against the Swiss in the second set. If he served well, he should have been able to hold at least three times. If he returned well, he should have been able to grab at least one break. If he could grab Federer by the throat from the baseline and exhaust him with high hopping forehands, he should have been able to win a set. 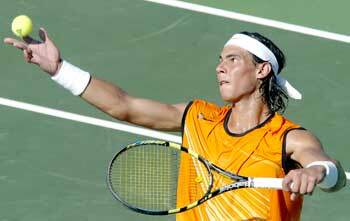 But frankly, Nadal is playing nowhere near as well as he was during the first eight months of the year. His uncle Toni needs to tell him to go out and rip the ball, because his backhand has become as vulnerable as Federer’s once was and he’s not able to will himself through points. If he does down to Jo Tsonga and gets knocked out of the competition before the semis, he is not going to feel great about his season, regardless of what he says in press. Djokovic’s year has gotten way from him too, but of course nowhere near what has occurred with Nadal, as the Serbian can be very happy that he won three Slams. I do believe him when he says that little matter to him post the U.S Open and I also believe that when he was saying back in Basel that he kind of wishes that the season was over and he could rest now. 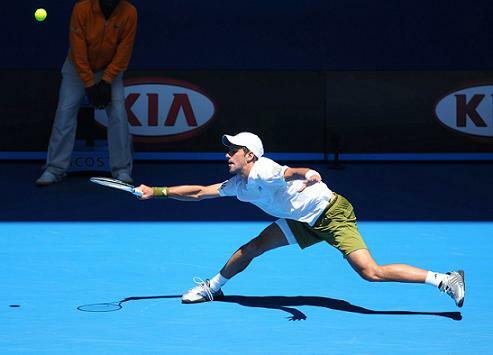 Does he really want to face Federer in the poor form that he is now? That’s questionable, as how many times in two of out three sets, or let’s say in more accurately in 16 games, has he committed 33 unforced errors this year? Probably none when he was healthy. Djokovic says that he have to raise his level by 50% to beat Janko Tipsarevic, who gave Tomas Berdych a hell of a fight in a three set loss. That’s a good call even though he owns his fellow Serbians. So if he grabs the win and Berdych does not stomp Ferrer – which is highly doubtful given the Spaniard’s level – then we will likely get a Federer-Djokovic semifinal, which would be perfect, especially given how tough Federer played Djokovic at the US Open. If Federer wants to go into next season feeling like he’s ready to grab his 17th major title at the Aussie Open, wins over Nadal and Djokovic is the recipe that he’s looking for, even if they were indoors in towo out of three sets. The Swiss is doing a much better job of dictating than he did earlier in the year and if he can serve as well and hit his backhand as sweetly in Melbourne as he has London, he really will have a chance at retaking the No. 1 ranking sometime in 2012, which for a 30-year-old, against super elite competition would be an incredible feat. 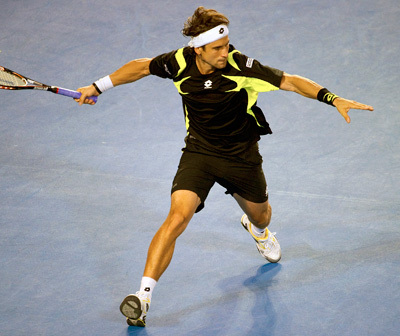 I’m just amazed at how Ferrer keeps improving given that he’s 29 and is seen as a counterpuncher: his forehand is a huge weapon; he’s now clubbing his first serve into the 120s and is a competent volleyer. Let’s not forget that his win over Djokovic was his fifth, so it’s not likely it was a fluke. I can’t see him winning the title over Federer, but I can definitely see Ferrer besting Nadal or Tsonga and reaching the final…Berdych has played fairly well too, which he should given that his game is fine fit for the thin air of the O2 Arena. He and longtime GF Lucie Safarova have split and he is now dating Czech model Ester Satorova, pictured here…Mardy Fish’s season came to an end in a three-set loss to Federer. Fish also took Nadal to three and played Tsonga tough for a set. It was fine year for the American, but I’m sure he wished he could have come into the ATP finals healthy and in better form. Happy Thanksgiving North America. 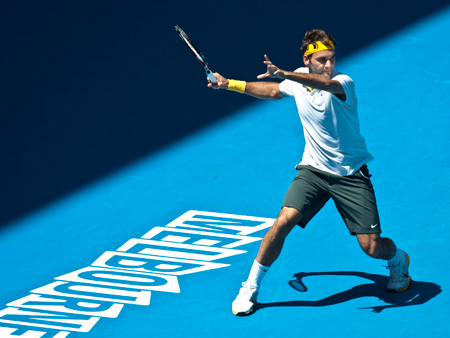 Federer withstood a big second set by Tsonga. After Novak Djokovic fought off match points against Roger Federer once again at the US Open two months ago, it was hard to conceive that the Swiss would be called the favorite heading into the ATP World Finals. But after winning his second straight tournament with a 6-1, 7-6 victory over Jo-Wilfried Tsonga to nail down his maiden Bercy/Paris Masters 1000, the 30-year-old looks better than anyone on tour now. Azarenka has to find away to stay off the trainer's table. In some ways, this should have been the year that Victoria Azarenka won her first major as her game had developed to the point where with a little good fortune and some standout play when it mattered most, that she could have shown the world that she will be a major force to be contended with for years to come. 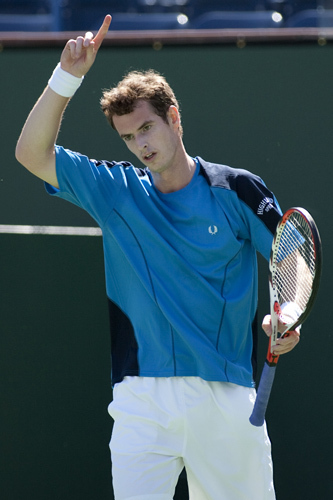 Is Andy Murray’s Grand Slam success still inevitable? The injured Andy played on. Is Petra more Hana or Martina? Had Petra Kvitova fallen to Svetlana Kuznetsova in the second day of Fed Cup and had Russia then gone on to win the title, her year would not have sparkled as much as it does now after she came back from a set and 0-3 down in the third to stop the two-time Grand Slam champion 4-6, 6-2, 6-3. Then Russia’s Anastasia Pavlyuchenkova stopped Lucie Safarova 6-2, 6-4 and the tie went down to the fifth and deciding rubber where Czechs Lucie Hradecka/Kveta Peschke took down Maria Kirilenko/Elena Vesnina 6-4, 6-2, giving their nation their first Fed Cup crown since 1988, when they were still playing as Czechoslovakia. Props must go to the veteran Peschke, who has been a Fed Cup warrior for her country, but there is no way the team would have made it that far without Kvitova, the country’s most promising player since Hana Mandlikova who stormed undefeated through the last three weeks of the year winning Linz, the WTA Championships and the Fed Cup final, notching 12 straight victories. 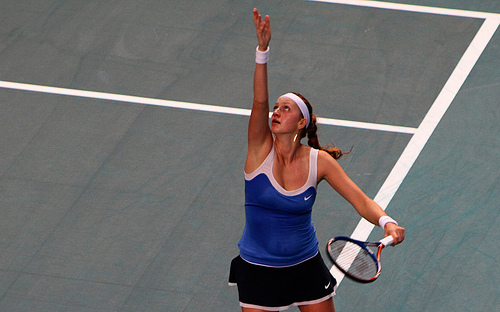 In Fed Cup, she won all of her six 2011 matches in three different ties.